Taro, a big lovely dopey Akita-ken (Akita dog) I met in Fukuoka. 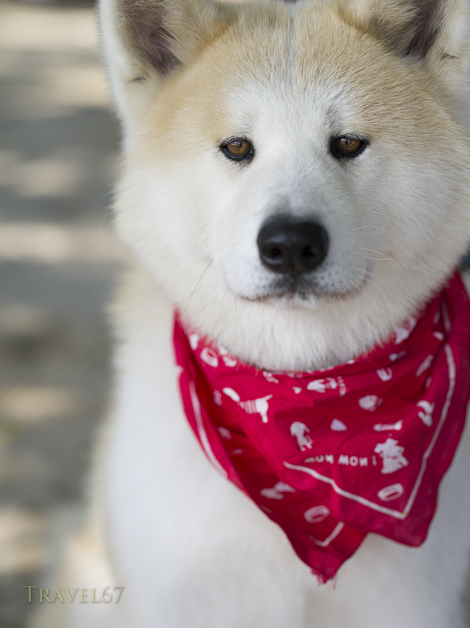 The most famous Akita-ken, however, is Hachiko. There have been several movies about his life, and of course there is the statue beside Hachiko Crossing in central Shibuya, Tokyo.